The award-winning debut feature from director Margaret Byrne, Raising Bertie, is now available for purchase on DVD. The film earned the Best Documentary Feature award at the 2016 Atlanta DocuFest, the Special Jury Award for Documentary Feature at the 2017 Atlanta Film Festival, and Margaret Byrne earned the Best Director award at the 2016 Atlanta Underground Film Festival. Following a robust theatrical run in partnership with Gunpowder & Sky during the summer of 2017, Raising Bertie had its world television broadcast premiere on PBS' POV in August of 2017. The film was the 4th highest-rated documentary of the prestigious PBS documentary strand's 30th season. Set in Bertie County, a rural African American-led community in Eastern North Carolina, Raising Bertie takes audiences deep into the emotional lives of three boys – Reginald “Junior” Askew, David “Bud” Perry, and Davonte “Dada” Harrell – over six-years as they come of age. Raising Bertie movingly weaves the young men’s stories together as they try to define their identities, interconnecting narratives of family, youthful innocence, first love, systemic racism, educational inequity, poverty and unemployment, and the will to succeed in the face of formidable odds. Raising Bertie originally premiered to wide acclaim as the Center Frame screening at the 2016 Full Frame Documentary Festival, and went on to screen at Sarasota, Ashland, AFI DOCS, Chicago, St. Louis, Cucalorus, Big Sky and Portland, among other festivals. Coming up, the film screens on April 5 at 7PM at the Block Cinema at Northwestern University. Director Margaret Byrne in-person. 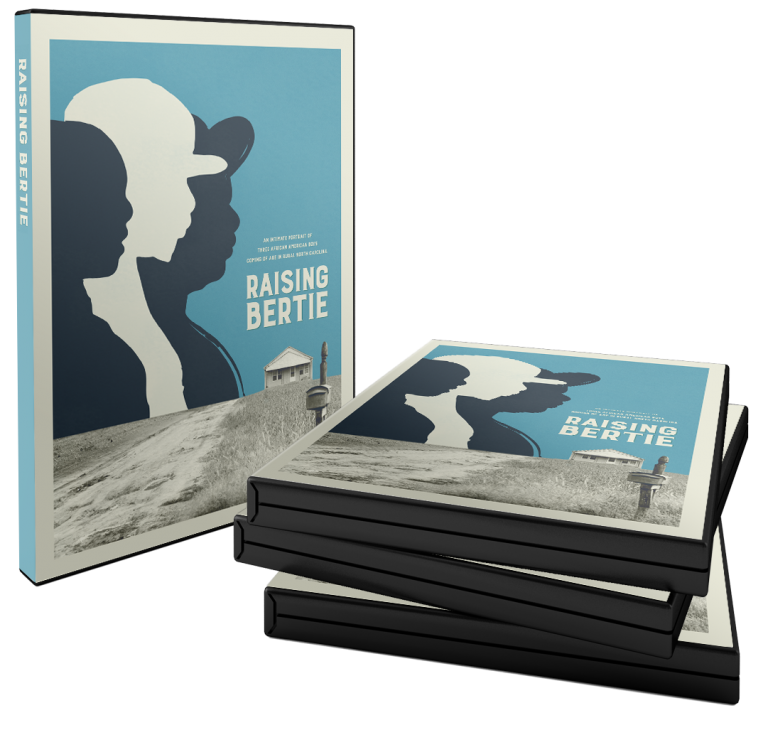 Raising Bertie is a production of Beti Films and Kartemquin Films directed and produced by Margaret Byrne, and produced by Ian Kibbe. Director of photography & co-producer was Jon Stuyvesant, with editing by Leslie Simmer. The film's executive producers are Grammy Award-winning North Carolina native J. Cole, and Kartemquin's Gordon Quinn, Justine Nagan (now of P.O.V. ), and Betsy Steinberg.